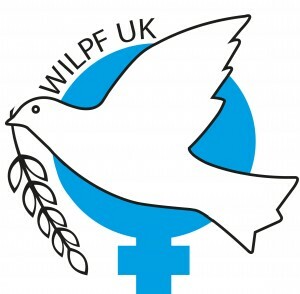 WILPF is very disturbed, however, that President Trump has been threatening the use of force against North Korea. We fear that any military response runs the risk of an accidental nuclear explosion. There seems to be a lack of understanding in the White House of the humanitarian consequences of even the most limited detonation of a nuclear weapons, not just in the region but across the world and in the long term. That is why WILPF supports the United Nations (UN) Treaty banning nuclear weapons which opened for UN nation states to sign on 20th September. We urge the UK Government to join the fifty countries that signed the treaty on the first day. The very serious immediate situation demands all countries to take action to reduce tensions and tone down the rhetoric. Perhaps because of our one hundred and two year experience, and our own International President, Kozue Akibayashi, who helped organise WomenCrossDMZ in 2015, highlighting the important role of women peace activists and helping to revive and renew peace and solidarity movements in the Korean Peninsula, UK WILPF has been asked by a member of the public to offer to mediate between North Korea and the USA. We would hope that the UK Government could influence the United States to understand that negotiation is the only way to end the tension and avoid conflict. In particular we hope that as UK Prime Minister, you could use your special relationship to urge the US Government to use the auspices offered by the UN Secretary General to resume Six Party talks. It is vital that you do all you can to persuade all parties to avoid any pre-emptive military strike. We are looking forward to receiving your reply to this letter.